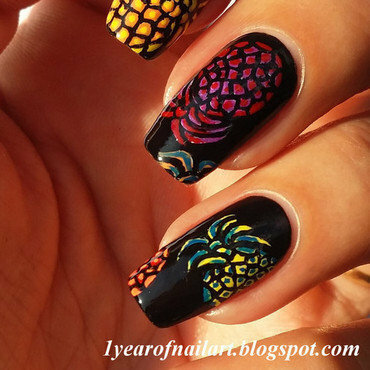 This super funky set of nails was inspired by a wonderful nail art company called I Scream Nails. 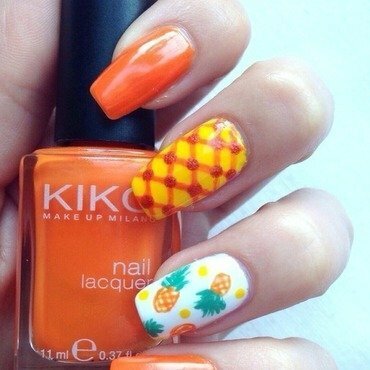 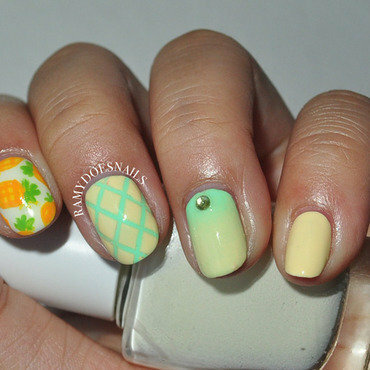 The pineapple is definitely my favourite, followed in close second by the clouds. 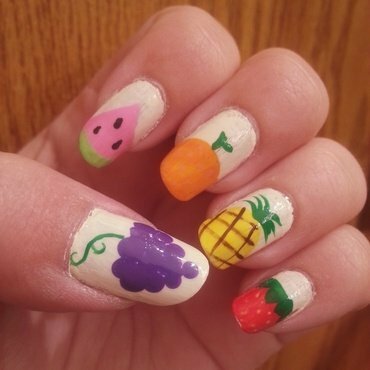 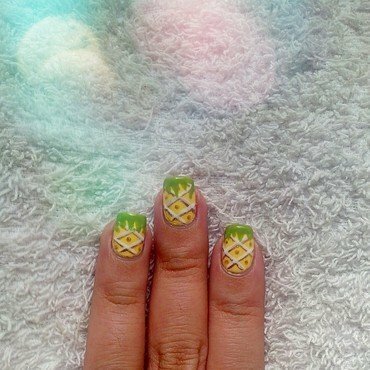 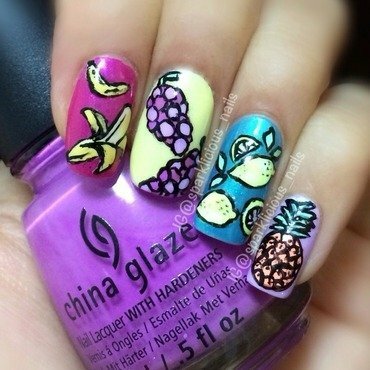 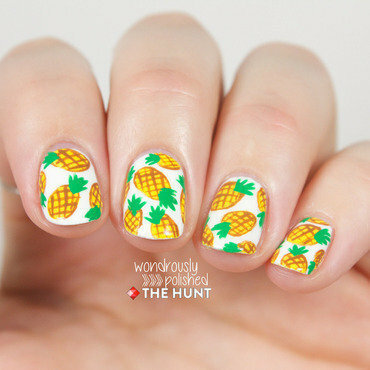 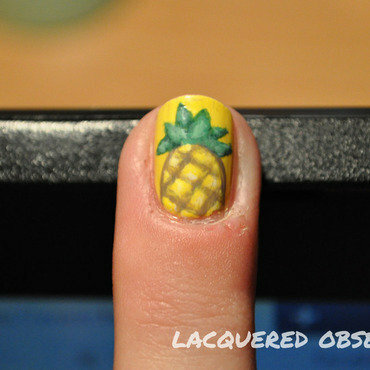 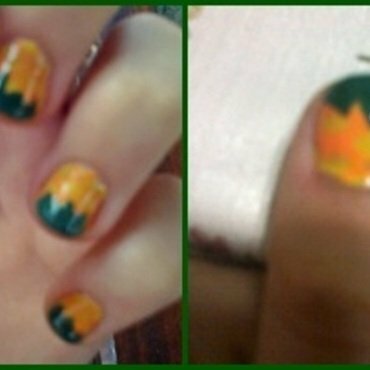 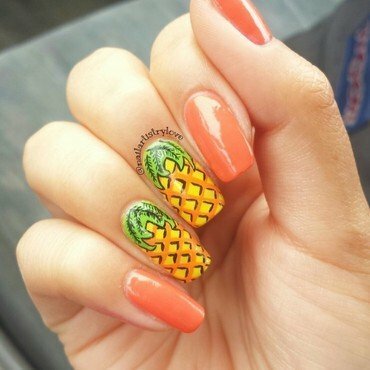 I meant to just do pineapples but then I just had to do the rest. 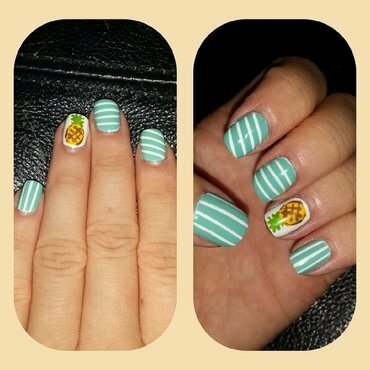 The Stripes with the Pineapple remind me of a beach back in the 50's or something!